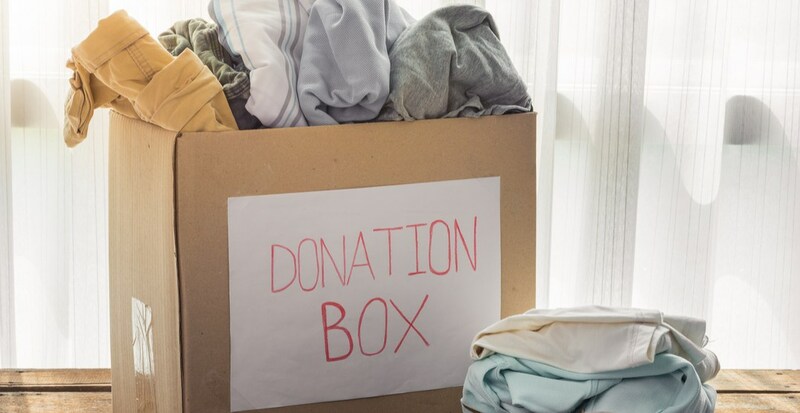 If you’re kicking off 2019 by decluttering your closet, consider paying it forward by donating your unwanted and gently-used clothing items. While many donations bins are being removed around Metro Vancouver, there are plenty of organizations that will happily take your items. Here’s a list of where to donate. One group will even come to you! The Vancouver Zero Waste Centre is a convenient location for residents to drop off a wide variety of materials, including clothes and household items and furniture, that can be reused and recycled. The Salvation Army is an international Christian church, committed to eradicating poverty and caring for those who are struggling. Where: You can donate items by finding your nearest Salvation Army Thrift Store, or for larger items, you can use the pick-up service. Covenant House supports young people who have either willingly fled physical, emotional and/or sexual abuse, or who have been forced from their homes. Where: All donations can be dropped off at 575 Drake Street Vancouver. Big Brothers Vancouver support child and youth development through essential Volunteer-led mentoring programs. DEWC provide food, clothing and a safe space for women and children affected by violence, homelessness, addictions and poverty. Where: DEWC is currently at capacity but accepts clothing and toiletries during the year. For more information about donating, click here. This shop downtown takes donations of both women’s and men’s clothing, and proceeds help fund the Battered Women’s Support Services as they work to end violence against women, making it a great cause to donate to as you clean out your closet. This funky thrift shop is another great option for donating clothing, books, homewares and more. The proceed help contribute to a variety of BC charities, including Coast Mental Health and The Gathering Place, ensuring that your donation helps your local community. The VGH Thrift Shop Society was formed in 2003 and has since worked to support patients, clients and families in Vancouver. The Developmental Disabilities Association (DDA) operates a pick-up service a free pick up service and also has a few drop-off locations in Richmond. The funds they collect from clothing donations are put towards providing programs and services for over 1,800 individuals with developmental disabilities and their families in Vancouver and Richmond. This luxury resale store lets you consign or outright sell designer pieces, making it a great place for those high-end items that you never wear. You can also bring in items to receive store credit, and see if you can find something new and exciting to bring home. The City of Vancouver has a list of organizations that are clothing providers. These places will also likely take donations. The list can be found here. Just give the organization a call and confirm how to drop off your items.